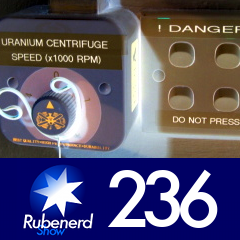 48:01 – Roel247's comments on electronic voting, compulsory voting in Australia, Senator Bob Brown of the Greens meeting the Dalai Lama, my label printing obsession! The Brother PT-80, labeling CDs, boxes, magazine holders and everything in my father's home office, there's no need to write anything anymore, the growing complexity of CMSs and why I'm moving over to home brew again using Ruby and SQlite, WordPress 2.5, loudly dropping aerosol cans, Elke's gigantic honey sandwich, converting metric to imperial in Google, Russian mail order brides, Ruben's idea for a standardised New World Order (patent pending), seeding torrent files, too many tabs in web browsers, why South Park is actually a great show to watch, being able to laugh at yourself, not taking life too seriously! Older post → Why do you use Twitter?